MacX iPod Video Converter-versatile Mac iPod video conversion tool for converting videos to iPod, Apple TV, MP4, MOV, M4V, MP3, AAC, etc. MacX iPod Video Converter bestows you a versatile iPod video converter for Mac to satisfy all your video conversion needs. This Mac iPod video converter can convert various video formats including HD videos like MKV, M2TS, AVCHD, H.264/MPEG-4 AVC etc and SD videos AVI, MPEG, RM, RMVB, WebM, Google TV, etc to iPod, Apple TV, MP4, MOV, M4V, MP3, AC3, etc. Moreover, MacX iPod Video Converter can assist you to obtain your favorite clips from source file, tweak encoding parameters including resolution, frame rate, bit rate for customizing the videos to your liking. Also, this Mac iPod video converter features extracting audio from original video to playback on your iPod Touch 6, iPod Touch 5, iPod Touch 4, iPod Nano and iPod Classic. Convert among M2TS, MKV, MP4, FLV, MOV, AVI, etc. Edit, download and record video. Rip Protected DVDs to MOV, MP4, FLV, iTunes video for Mac, iPhone, iPod, Android etc. Include DVD Ripper Pro and Video Converter Pro. MacX iPod Video Converter can easily convert almost all the popular video formats including HD (High-definition)) videos such as MKV, AVCHD (M2TS, MTS), TOD, MOD etc to iPod MPEG-4, H.264/MPEG-4. 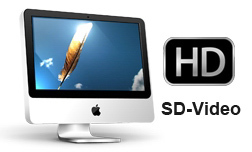 It is also available for the SD videos such as AVI, MPEG, F4V, RM, RMVB, WebM, Google TV, etc. Specially designed for iPod users, regardless of which version or type of iPod you own, this Mac iPod video converter features high compatibility among different types of iPod, such as iPod Touch 6/5/4, iPod Classic and iPod Nano. It also endows you the ability to convert any video to The new Apple TV easily. Multi-track HD video adopts multitrack recording method that allows for the separate recording of multiple sound source to create a cohesive whole HD video. MacX iPod Video Converter supports converting Multi-track HD video including BDAV, M2TS, MKV, AVCHD, HDTV and MPEG-TS etc. It allows HD movie fans to freely choose audio language track according to personal needs. 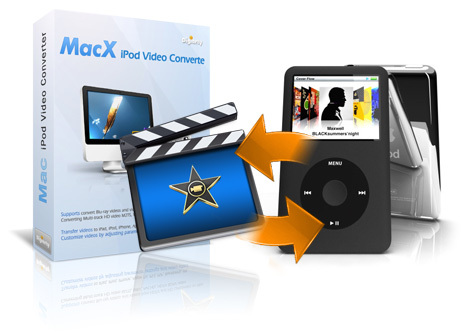 This Mac video converter for iPod also allows users to convert videos to MOV format and playback on QuickTime player. It also helps you transfer any videos to MP4 and M4V formats thus you are able to play your video on iPhone, iPad, iPod and other mobile devices anywhere anytime. A definitely useful feature helps you easily convert Blu-ray M2TS, BDAV, TrueHD, MTS, MPEG-TS audio/video. If you are a photographic lover, it also allows you import and convert HD video from HD-camcorder to iPod, Apple TV, MP4, MOV, M4V, totally supports AVCHD, MOD, TOD, MTS videos recorded by Panasonic, Canon, JVC, and Sony HD-Camcorder. 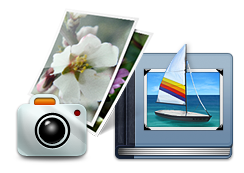 Embedded with a photo slideshow maker, MacX iPod Video Converter permits you to turn your photos into a fabulous video slideshow and transfer to MP4, MOV, etc for sharing on iPhone, iPod, etc in a few clicks. What's more, you are the master to add background music or voiceover to enrich the output effect for your show. The Mac iPod video converter can take a screenshot of your favorite scene form video and save it in PNG format. It also extracts audio from videos to save as MP3, AAC, AC3, etc. This feature makes you enjoy your favorite music and pictures on iPod wherever you go. If you have some corrupt video files or your player can't properly play source videos, MacX iPod Video Converter will automatically mend these incorrect data. With this function, you can convert video to iPod, iPod Touch 5 more stable and smooth. Personalized profiles are designed to satisfy advanced users, you are allowed to adjust the settings like resolution, frame rate, sample rate and bit rate to optimize the output file to fit your iPod. Supporting Multi-core CPU and Hyper-threading, MacX iPod Video Converter offers you up to 8x real time converting speed. Batch conversion function saves your time and trouble to convert multiple video files at one go. I'm thrilled to say that MacX iPod video converter met and exceeded my expectations in helping me convert videos from my HD camcorder so that I can edit them on my Macbook. No quality loss. No frustrating bugs or crashes. It is a fast, consistent, and reliable program. I highly recommend this program. A great value for the price! I downloaded your program and I would like to thank you for such a useful application. The numerous input formats supporting really shocked me, I can use this Mac iPod video converter to convert various videos to my iPod just only one tool, totally all-in-one conversion tool! And I really like when I am using the control below the preview window the way you show the frame that I stop on. A powerful DVD to iPod converting software on Mac to rip and convert DVD movies to iPod supported format as well as MP4, H.264, MOV, MP3 files. 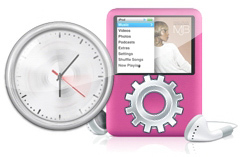 It is fully compatible with iPod nano, iPod touch, iPod classic. Bundle with two iPod tools: MacX iPod DVD Ripper and MacX iPod Video Converter. It can rip any DVD and convert both HD and SD video, such as MKV, AVCHD, M2TS, AVI, MPEG, WMV etc to iPod, MP4, MOV, Music etc.